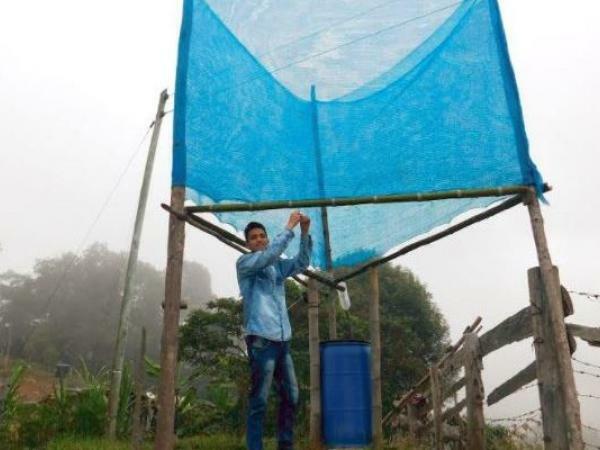 An innovative but simple method that allows to catch three-dimensional mist (in the form of a triangle) and collect 28 liters of water per day to supply families, was developed by Nebulón, a Bogota venture that has just won the Recon contest in the Environment category. “Nebulón is the result of an investigation I carried out two years ago at the university (Gran Colombia),” said Jonny Umaña, manager of the initiative, based on some techniques and history of fog capture in Bolivia, Chile, Peru and Spain. 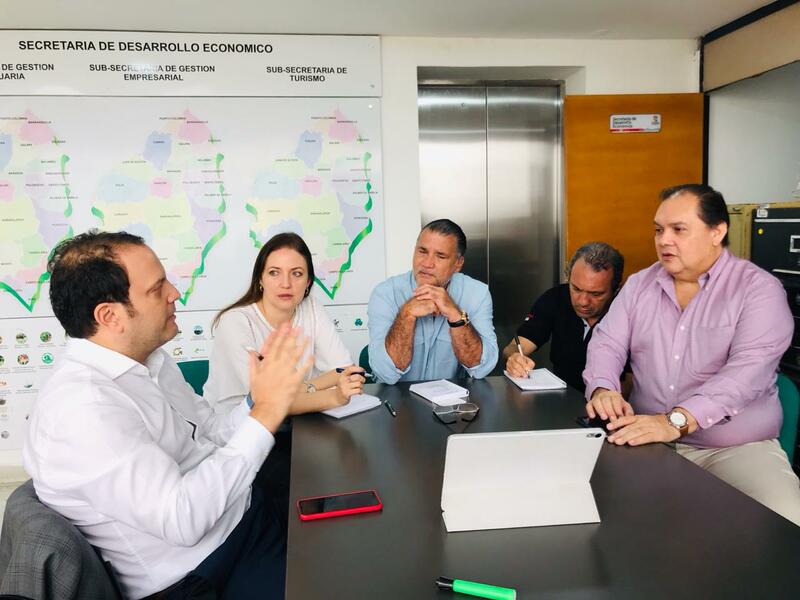 In a dialogue with Colombia-inn, Umaña said that by observing these efforts he thought of the “opportunity to implement something similar in Colombia, but with technological and social innovation”. 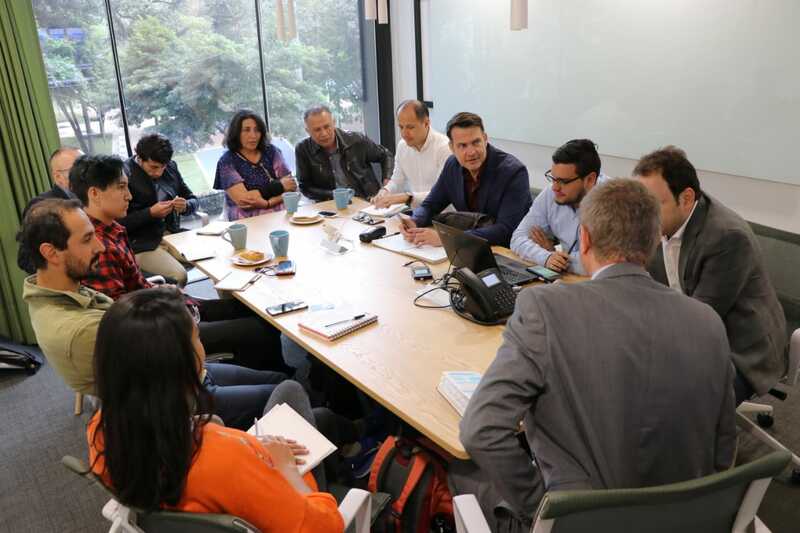 As a result, the innovator started up Nebulón, an enterprise for which it was necessary to invest his own resources, but which counted on the advice of the Innovation and Talent Center of the Gran Colombia university. The system used by Nebulón to capture the fog consists of three poles of about 6 meters each, which are placed in the shape of a triangle and wrapped, in the upper half, by a mesh of the raschel type, which is an element manufactured with High density polyethylene tapes that receive a special treatment to resist contact with ultraviolet rays (See photographs). When passing through the mesh, the mist (light water droplets) enters a condensation process, generating a drip that ends up in a channel located at the base of the mesh, made with bamboo or PVC pipes, which allows to direct the liquid to a storage tank where 28 liters of water are collected per day. The technique has been used successfully for a year and a half in the municipality of Chipaque (Cundinamarca) and La Belleza (Santander). Thanks to the installation of a filter in the system, the water is made drinkable and suitable for the consumption of people and / or use in daily agricultural activities. The installation of each prototype takes about eight hours, and uses materials from the regions such as pine and bamboo poles. Entrepreneurship is a great contribution in terms of sustainability and social responsibility. According to the National Water Study conducted in 2014 by the Institute of Hydrology, Meteorology and Land Adaptation (Ideam), Colombia has a water yield that is equivalent to six times the world average, but in times of drought more than 11 million compatriots are vulnerable to the shortage of vital fluid. “The objective is to have an organization that installs the system using modular elements and, most importantly, that is easy to access and economical so that vulnerable people can benefit from the service,” Umaña said. Nebulón was chosen, on March 21, as the most innovative social enterprise in the category of Environment, in development of the third edition of Recon, the digital platform that identifies and makes visible social entrepreneurship projects in the country. According to Umaña, the seed capital that was delivered to him for having triumphed in the call, will serve to consolidate his organization and extend its radius of action to other regions of the country through partnerships with government entities and private enterprise. And in that sense, the entrepreneur revealed that the technique could be used, also successfully, in warmer climates such as La Guajira, where the problem of lack of water is quite noticeable. In this regard, he explained that, according to studies, “in La Guajira there is fog, because it forms in the sea and goes up the slopes, only during the day it is very hot and cannot be seen, but with changes in temperature it can be noticed and, in the early hours of the morning, it could be captured “. 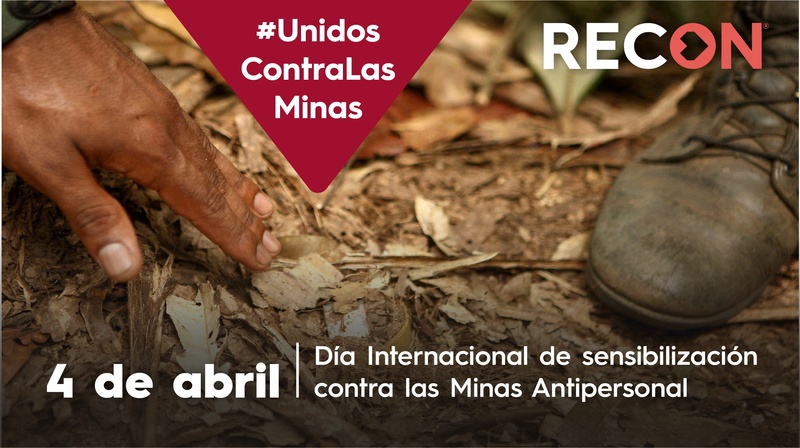 Likewise, Umaña has planned, for this year, to obtain a prototype made with materials such as industrial guadua. “We are going to manufacture the system traps as modules, so they are easy to transport and for anyone to open the box, assemble and install it,” he concluded.